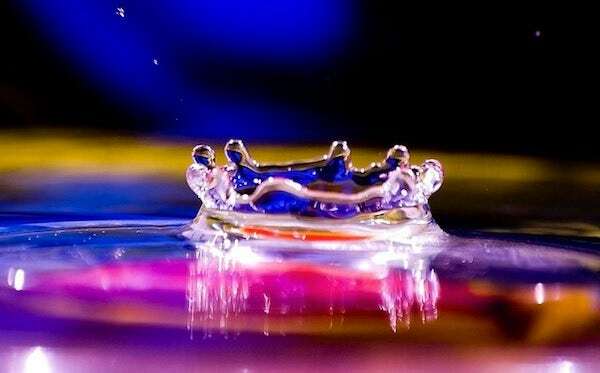 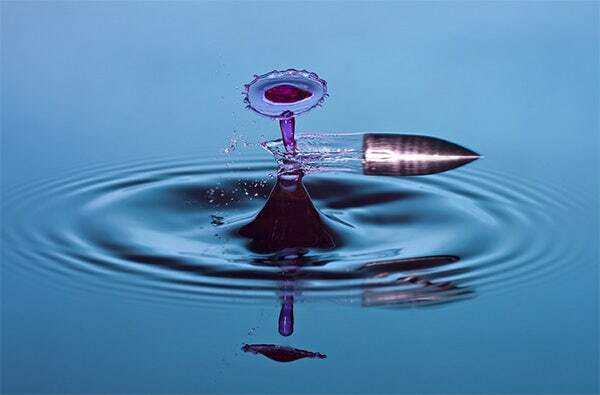 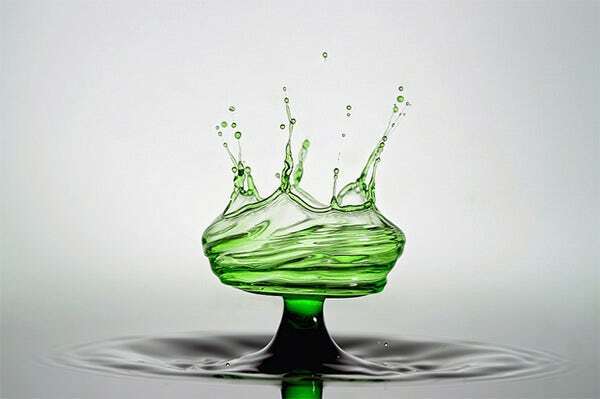 There are a lot of elements combined in drop photography but the most difficult to master are the lighting and timing. 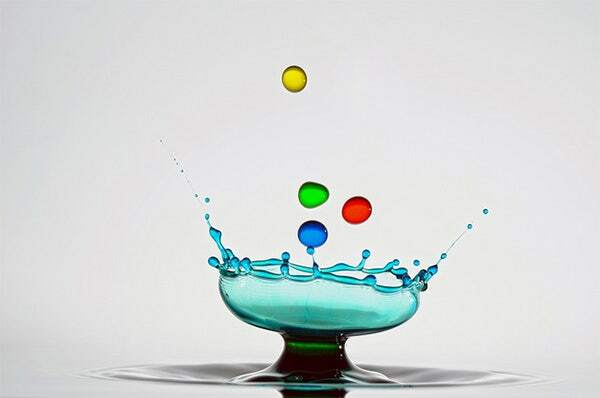 There are high-speed splash equipment that can be used to enhance your image shots. 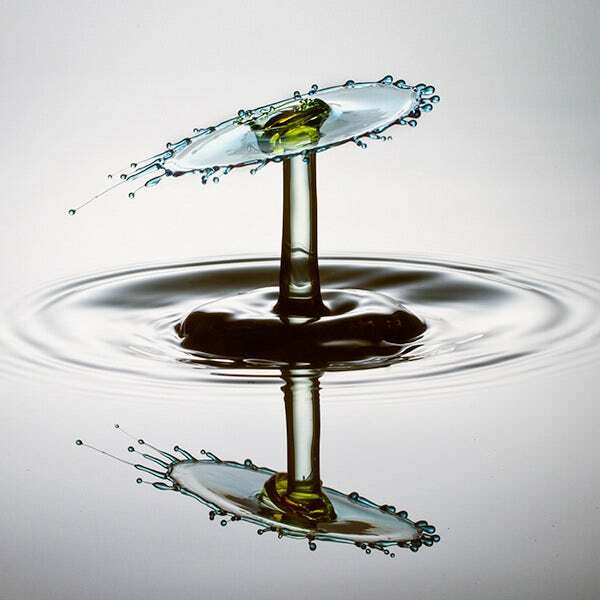 When doing water drop photographs, good lighting is attained as a result of diffusion and some practice. 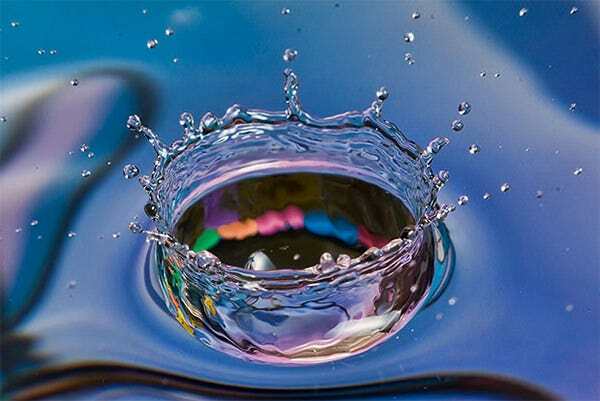 You might want to do some reading to get further insights on how you can perfect the art and practice of taking these kinds of photographs. 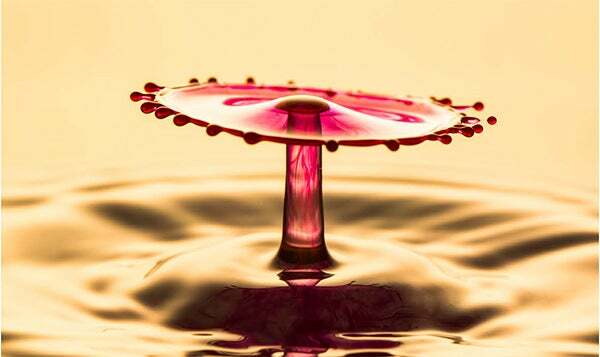 The traditional way of taking water drop photographs is by doing it in a darkened room. 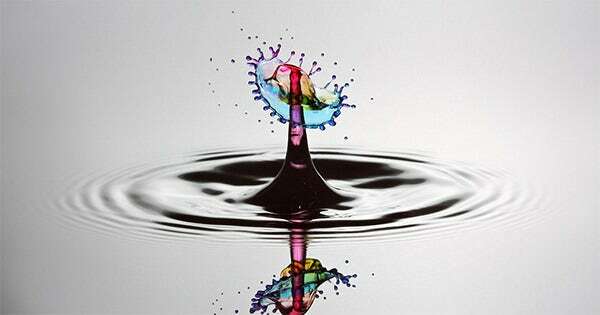 This is the best way you can start if you have not done this kind of photography before. 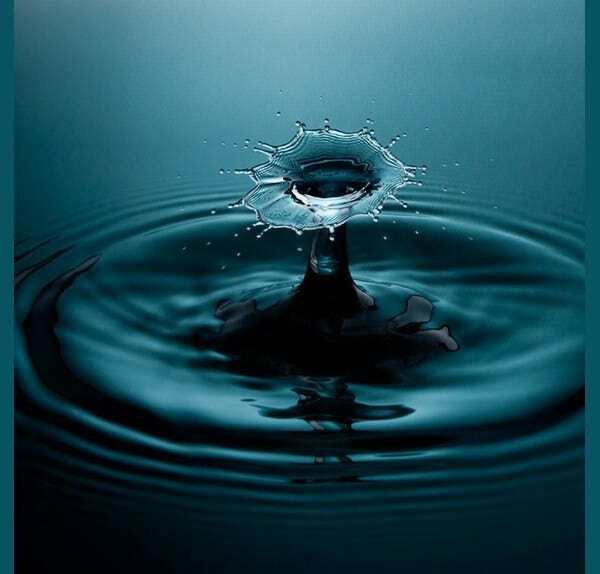 The room might not need to be completely dark. 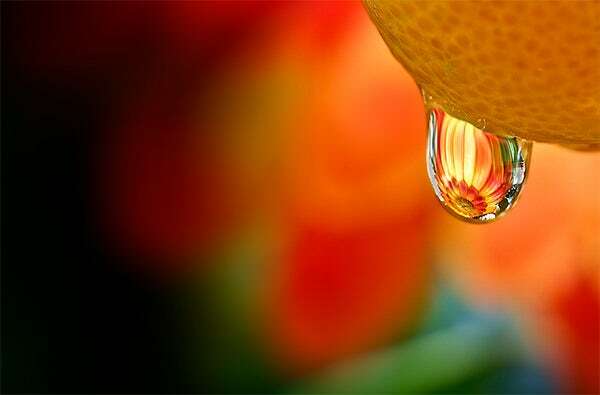 With some bulbs lit, it leaves enough ambient light to allow you see whatever you are doing without affecting the photographs. 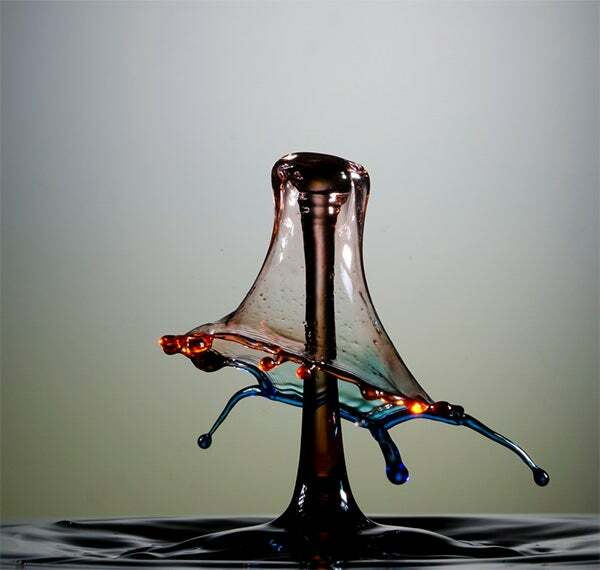 At times, you might want to get two drops collide and this isn’t easy. 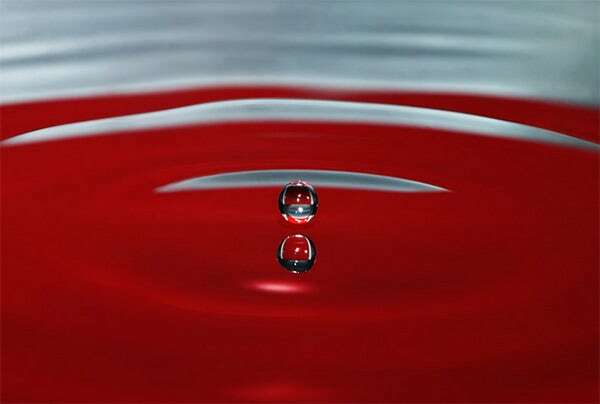 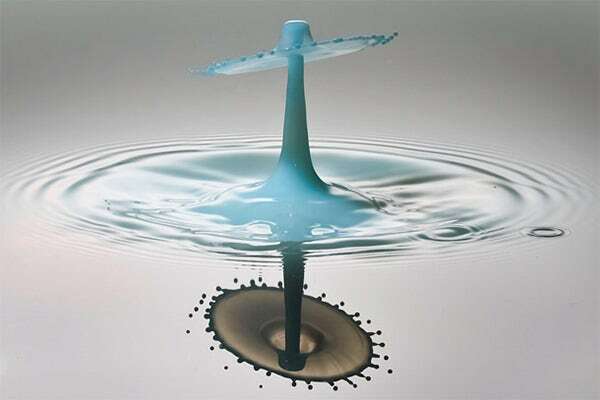 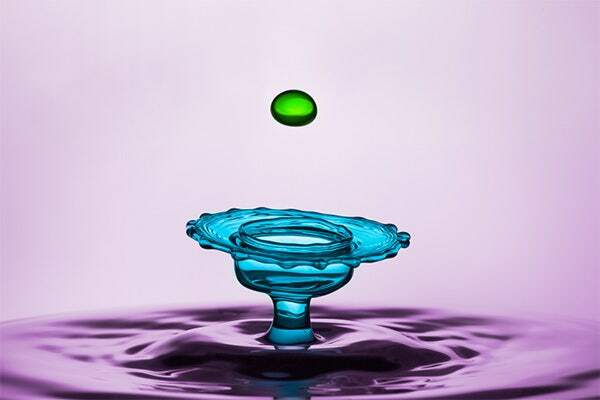 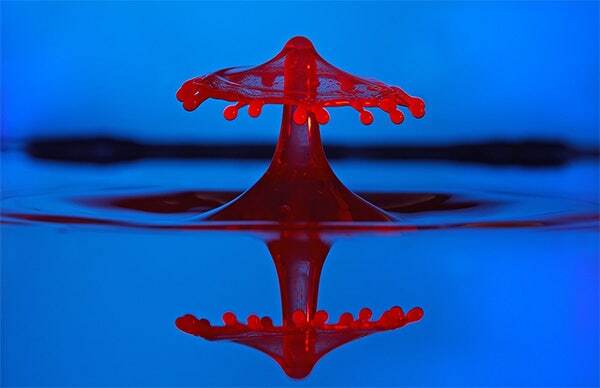 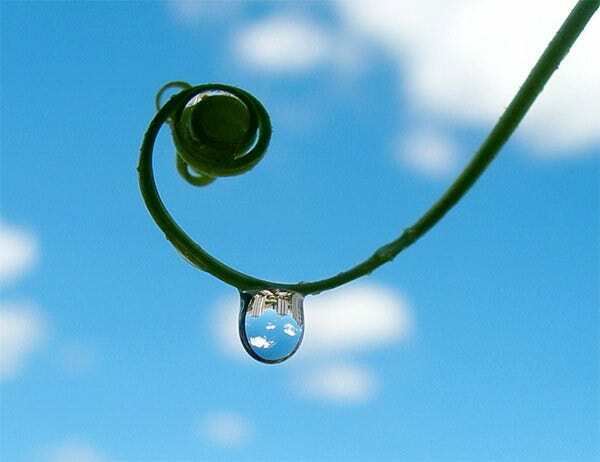 You can have a falling drop to collide with the rebound of the first water drop. 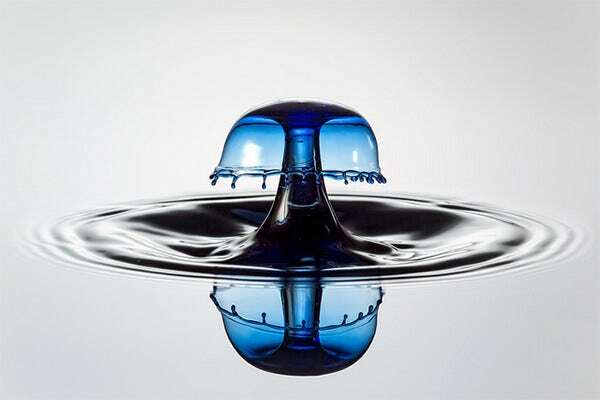 This can create a very spectacular photo. 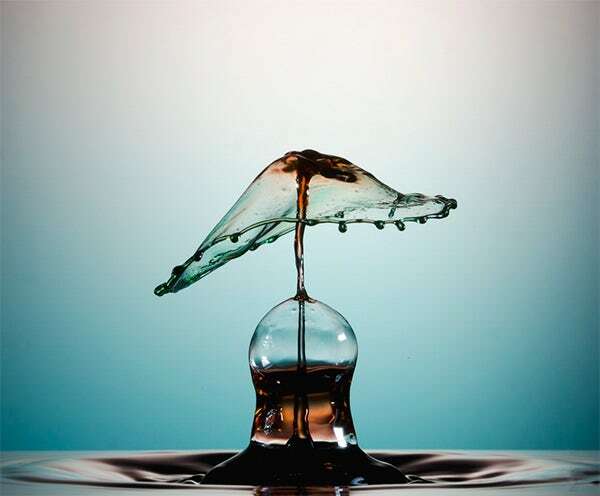 If you can have a way to make drops and a camera, then you can get started with your photography. 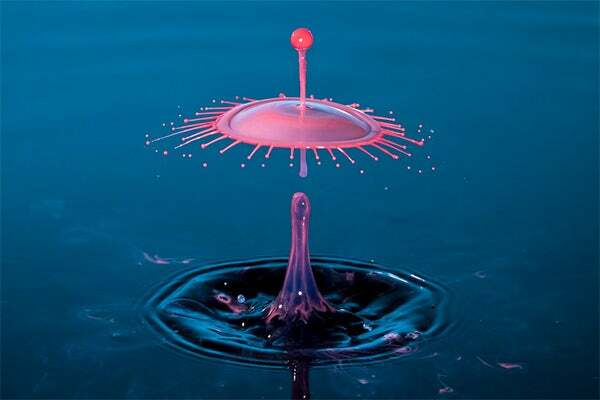 Creativity is also an important aspect. 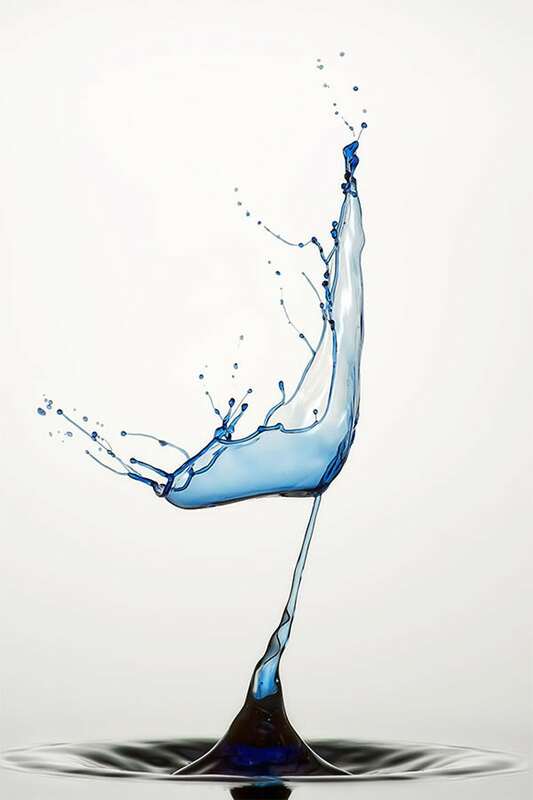 You might use a white cardboard placed behind the sides of water container to aid in reflecting more light during the splash. 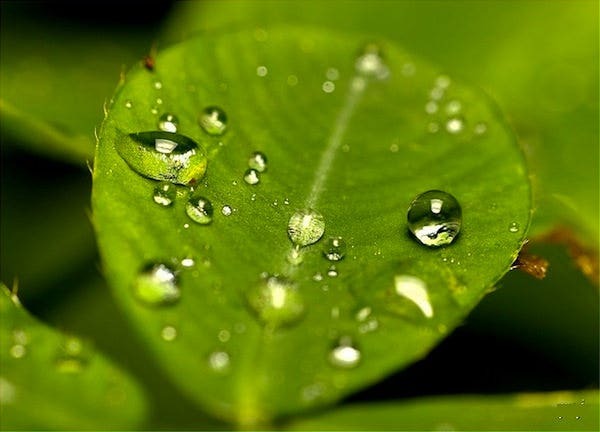 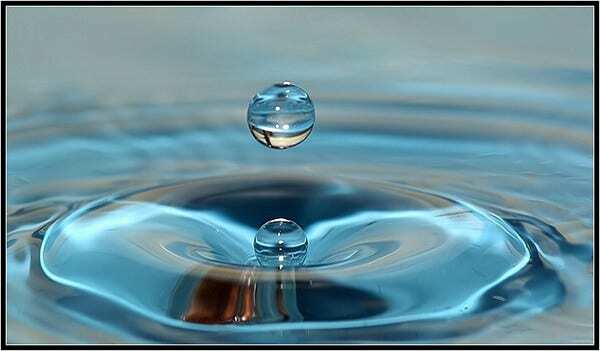 You can use your time to create water drop photographs that can be used as a background for your website or any other professional project. 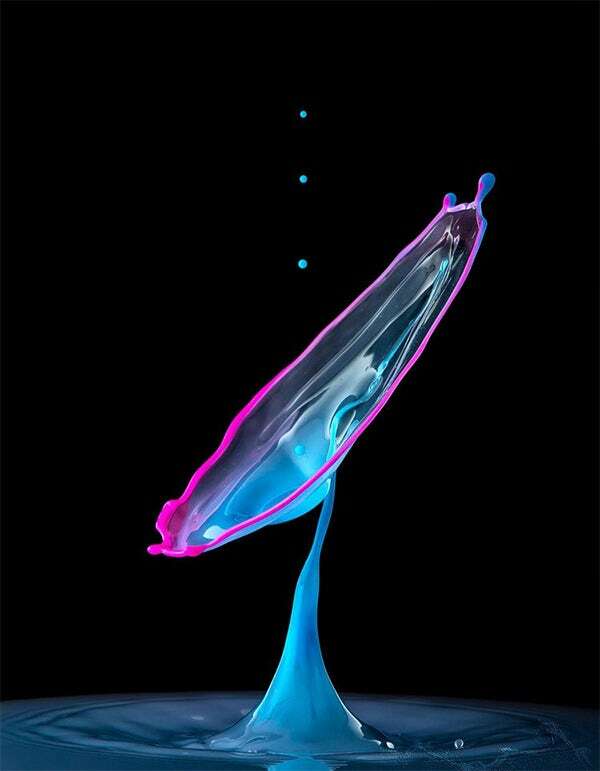 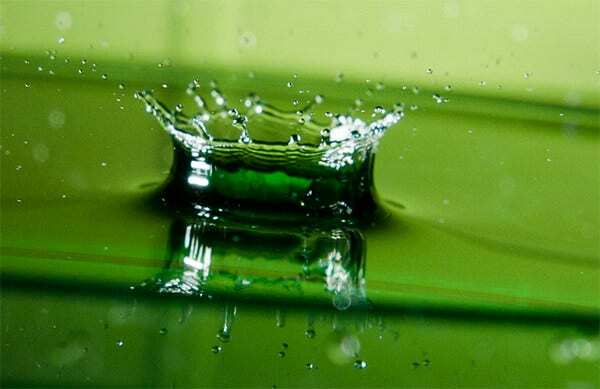 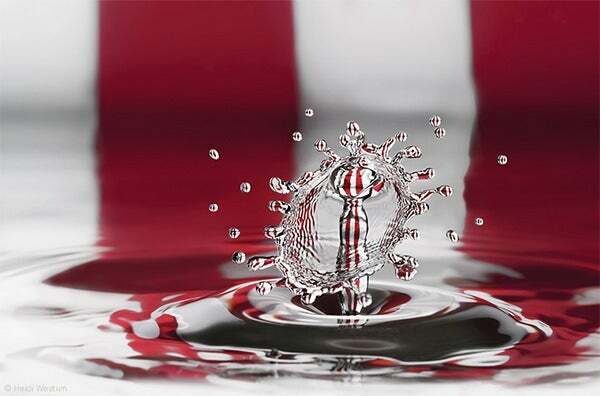 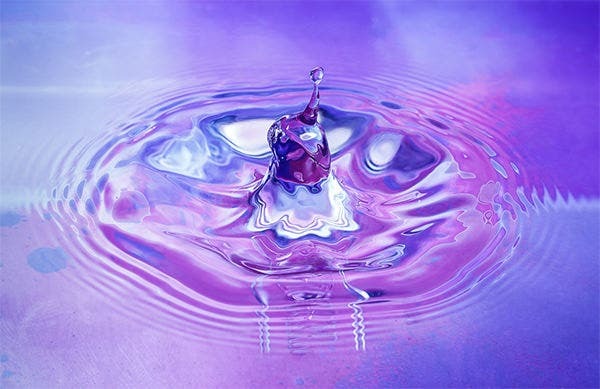 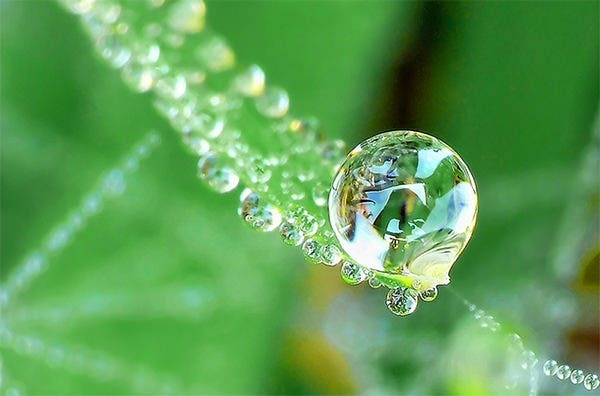 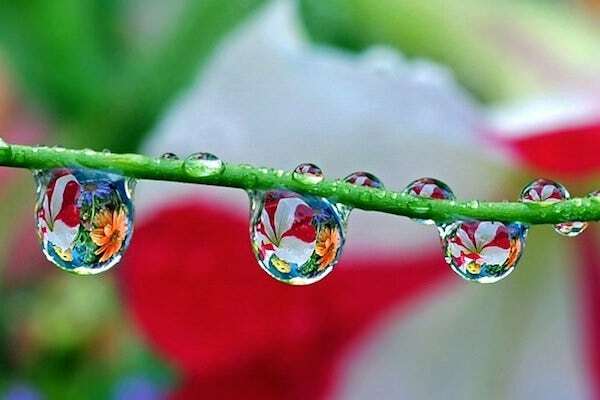 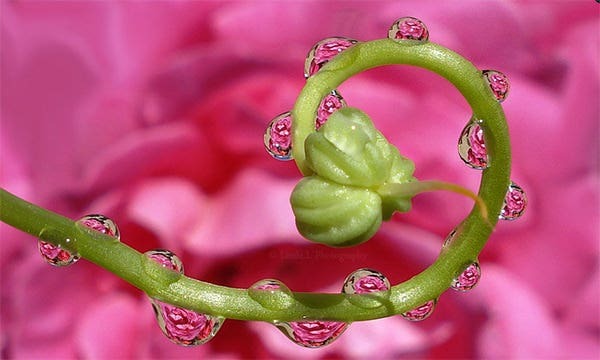 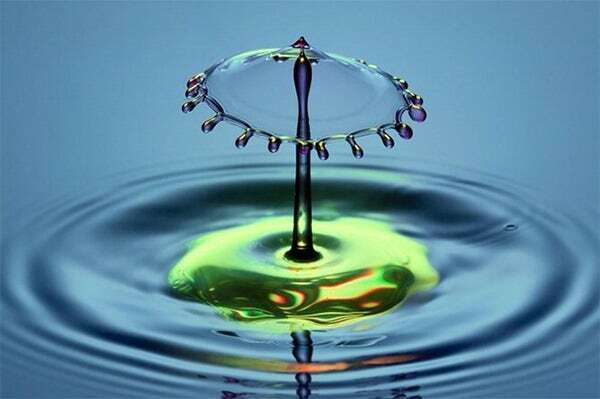 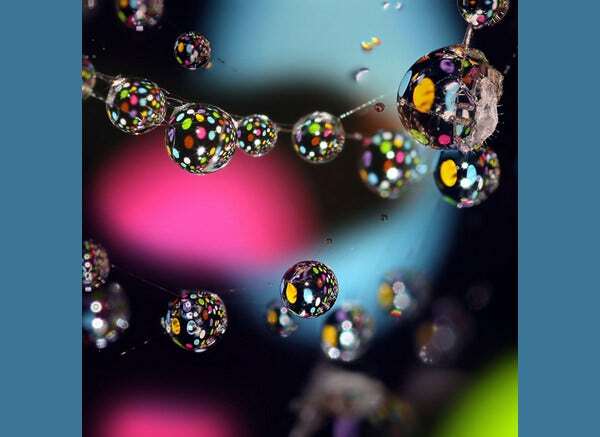 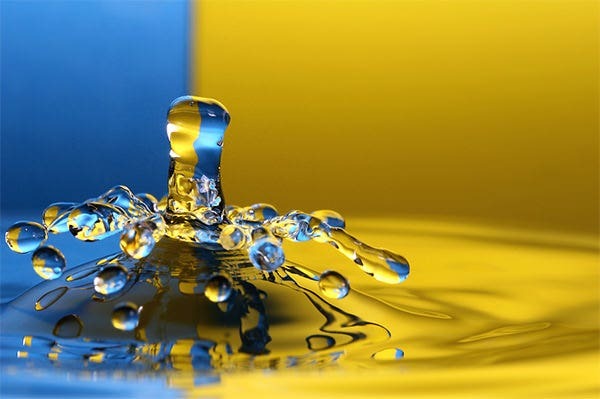 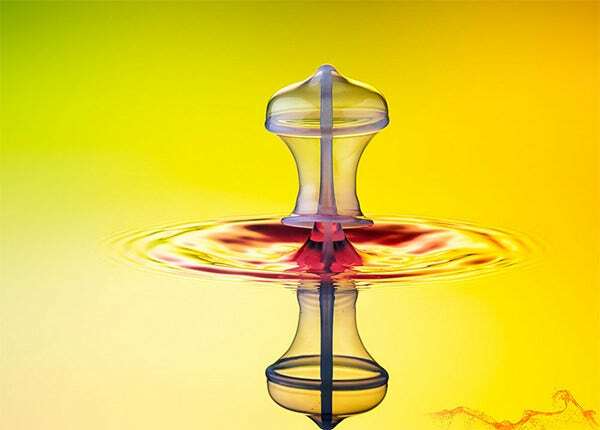 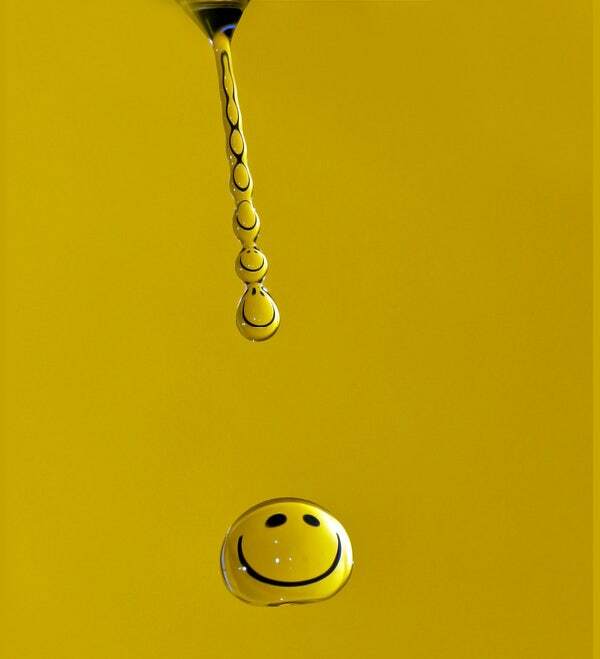 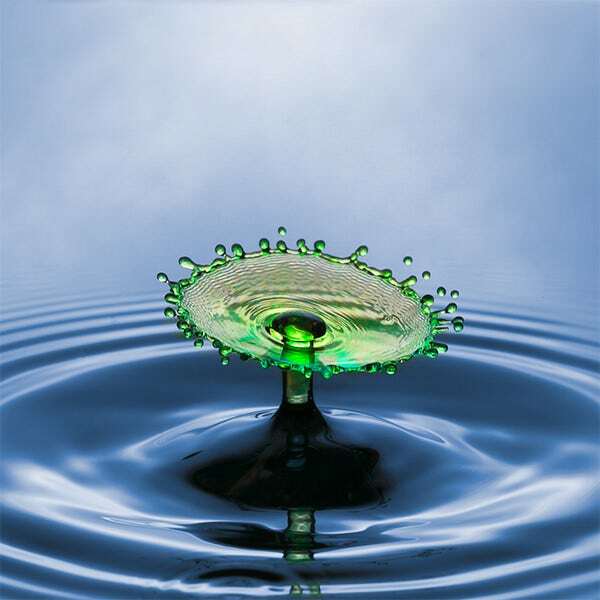 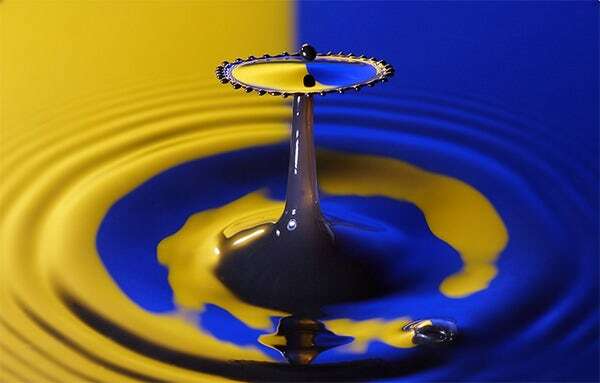 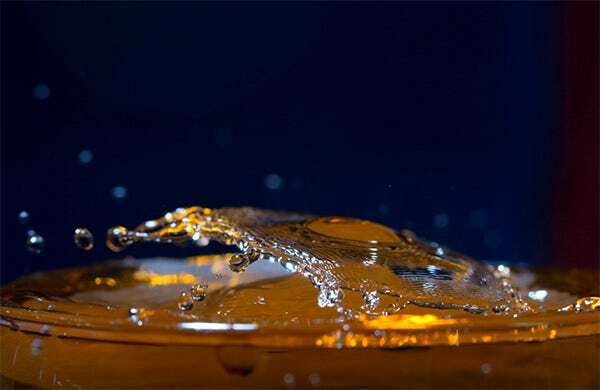 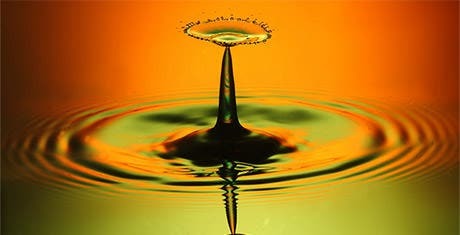 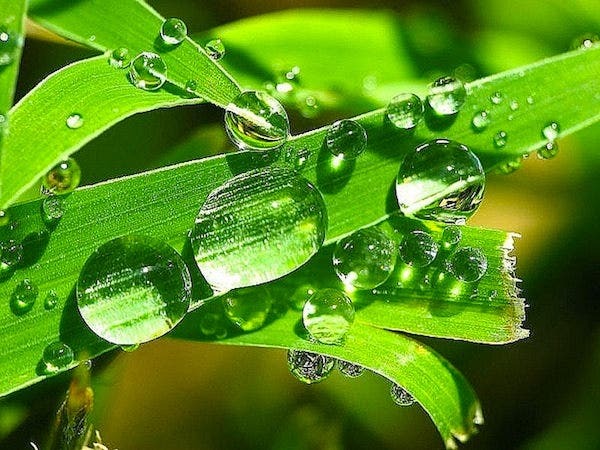 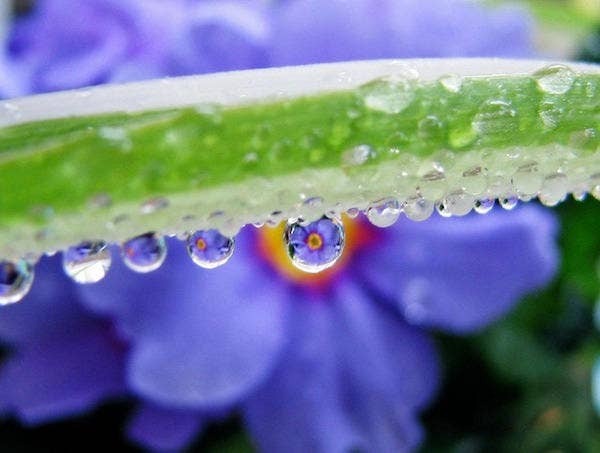 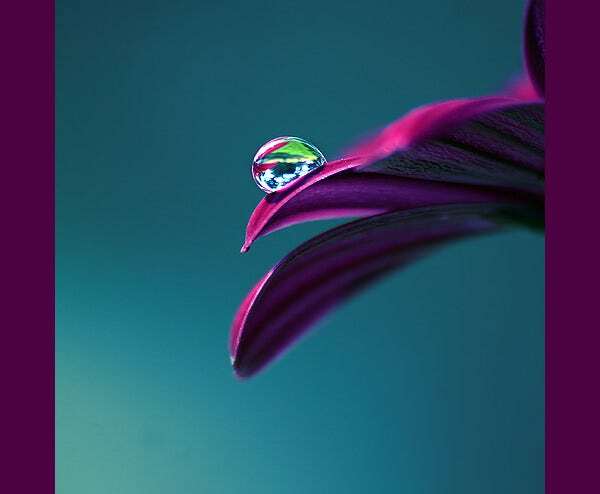 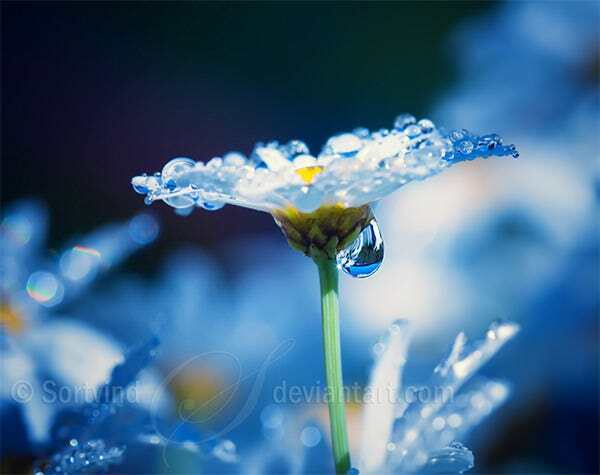 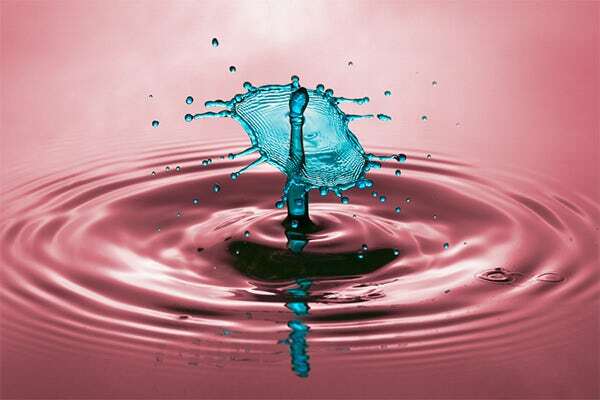 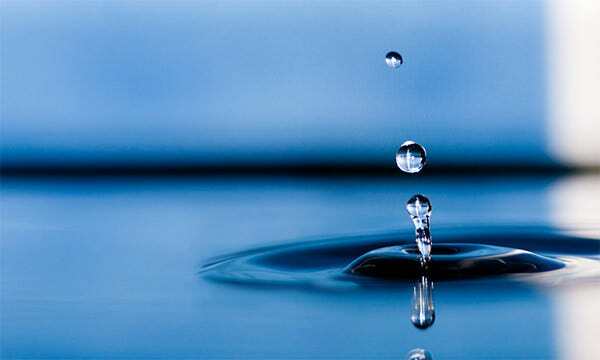 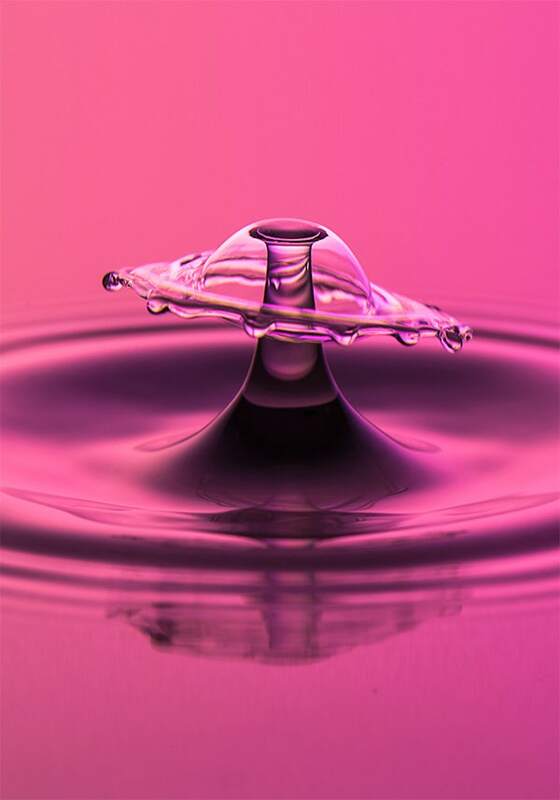 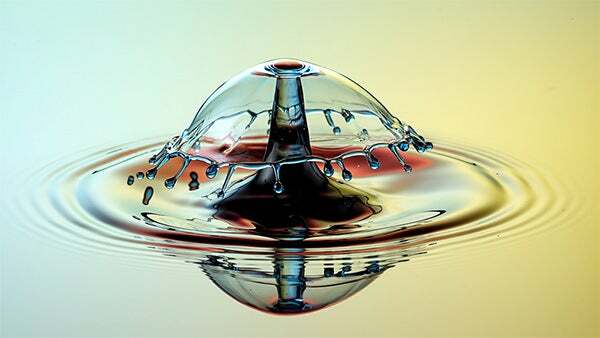 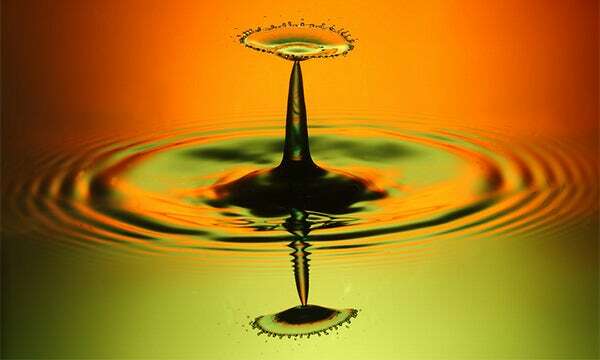 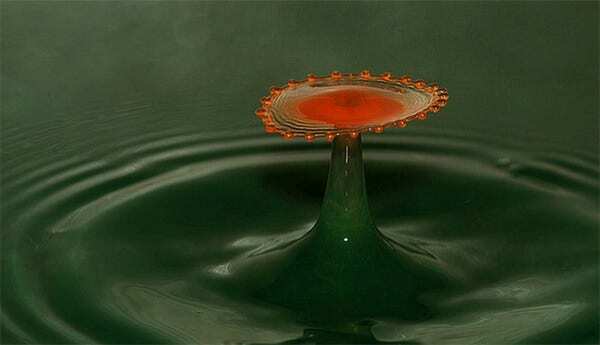 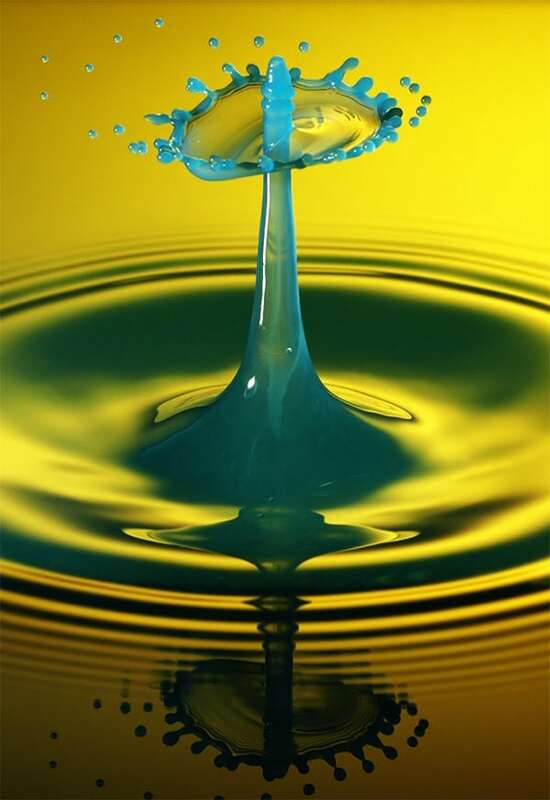 However, you may not have sufficient time or that creativeness to make water drop photographs on your own. 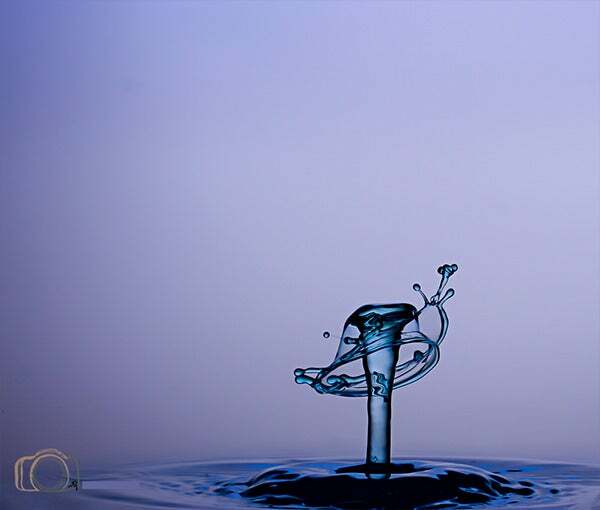 This is where water drop photograph examples come into play which can downloaded and used conveniently.